Cut an 8" square for your background fabric in white (plain or tone on tone). Fold background fabric in half and half again, finger press to get the center. 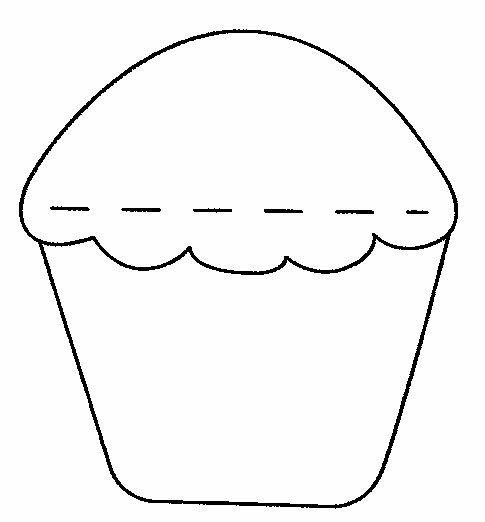 Using the cupcake pattern, trace shapes in steam a seam or vliesifix, then iron onto fabric & cut out. 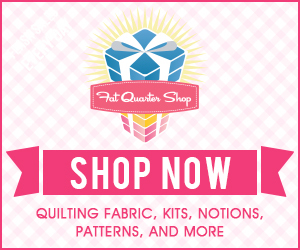 Machine or hand stitch & trim with buttons, beads or embroidery. This makes into a stunning wee block!This was a very early block of the month challenge given to our quilting group in 2010. There were so many gorgeous blocks returned. I'm sure there were quite a few disappointed quilters that day as they didn't win all the completed blocks! I have seen the quilt made from all these blocks and it was truly adorable. It was even displayed in a quilt exhibition - in the non judged section! 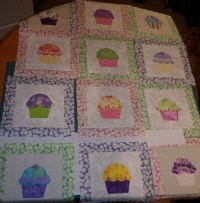 Over the following 6 months or so of this quilt being shown I noticed about 3 of our group (me included) had made their own cupcake quilt. 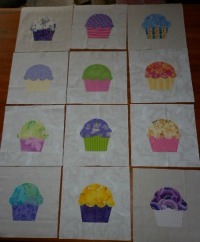 I have finished my quilt top and have shown a couple of photos of its progress below. Though hard to see in the right hand photo - it shows all the blocks embellishments. I decided to use a couple of different cupcake templates that I think I found on Sindy Rodenmayer of FatCat Patterns website. She has changed her website radically over the last few years but fortunately it is one of the patterns that she has kept available. 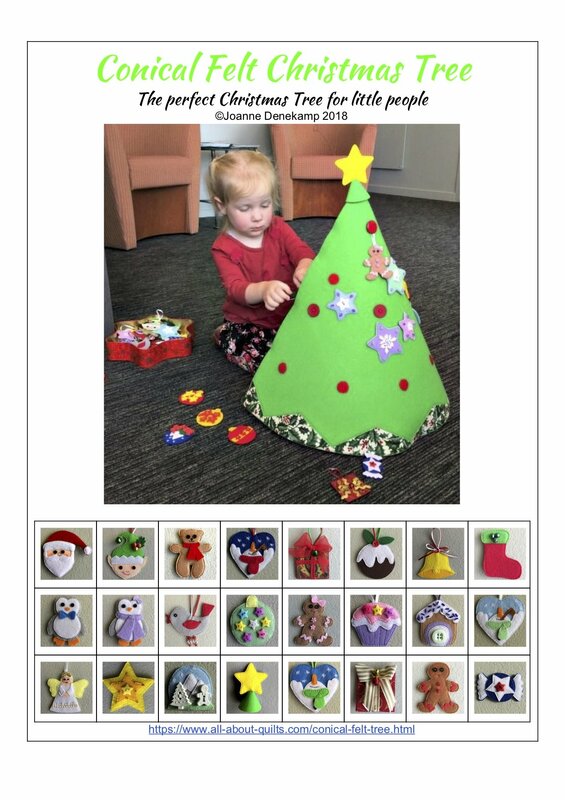 You will find it under the free patterns tab. It now resides in a box awaiting time and space to be finished into a quilt. Maybe my new grand daughter will inspire me to finish it for one of her birthdays!